The defender has been found guilty of violent conduct during the 2-0 win over Rangers. 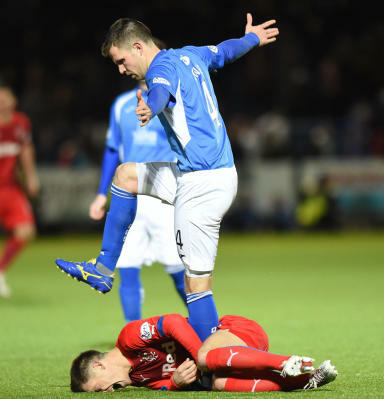 Queen of the South's Andy Dowie has been banned for two matches for standing on Rangers' Ian Black. The defender was offered the suspension by the Scottish FA's compliance officer but instead chose to make his case at a Hampden hearing on Thursday. However the ban was upheld after ruling Dowie had committed "violent conduct at a match by deliberately standing on an opposing player's leg." James Fowler's men won the match 2-0 on Friday night thanks to goals from Kevin Holt and Gavin Reilly. Dowie will now miss games against Cowdenbeath and Alloa. 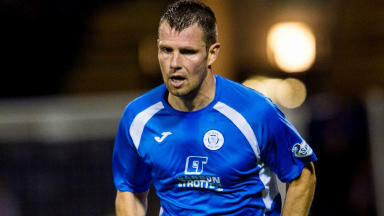 The 31-year-old joined the Palmerston outfit in 2013 having previously played for Dunfermline, Partick Thistle and Ross County.